Construction: approx. 87 m2 (excl. terraces of approx. 47 m2); built before 1951 and renovated in 2005. 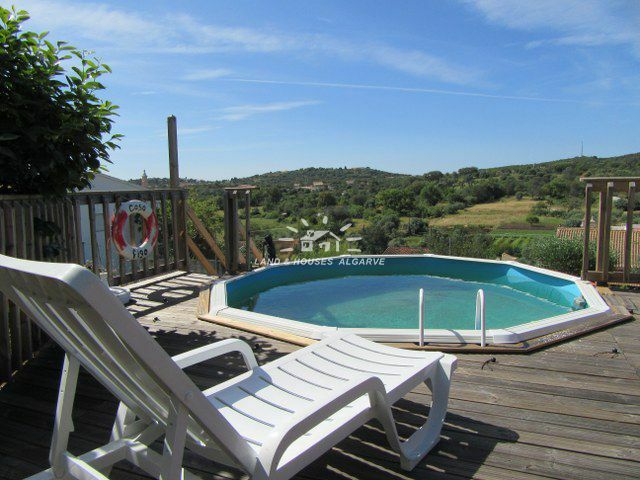 Description: Well presented, fully restored Portuguese farmhouse located a five minute drive from Sao Bras de Alportel on an elevated position enjoying beautiful views with a nicely landscaped garden and a plunge pool. 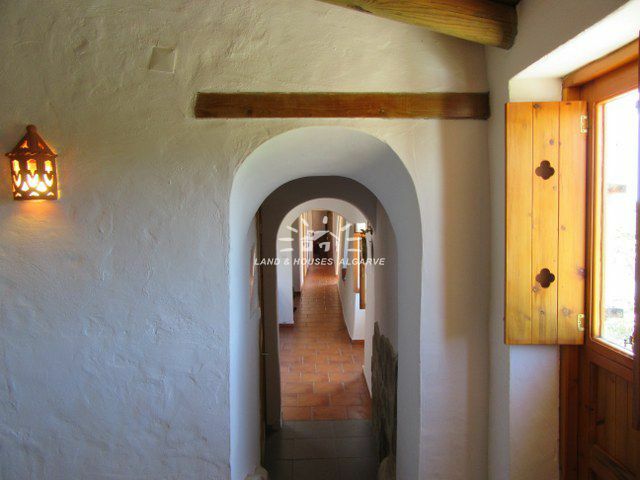 The owners have done an excellent job renovating this property, as they maintained many of the traditional Portuguese features such as natural stone window sills, thick walls and wooden doors and shutters. 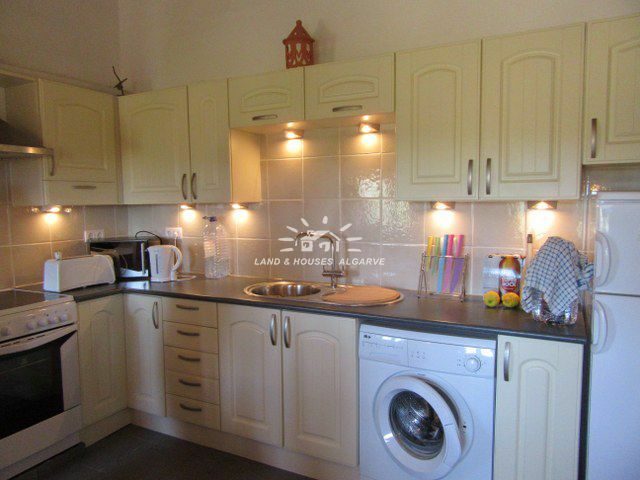 The one storey property is fully fenced and consists of a living room with wood burner stove, a recently fitted and fully equipped kitchen with breakfast area, three bedrooms, a cloak room and bathroom. In the garden there is a South-facing terrace with plunge pool from where you can enjoy beautiful views of the valley. 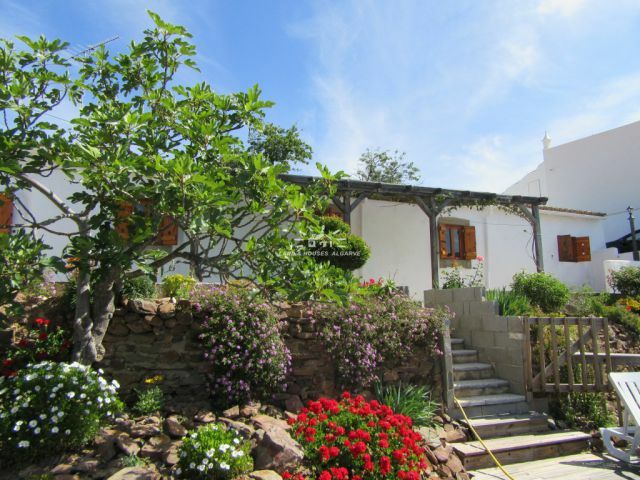 The landscaped garden adds the final Mediterranean touch to this typical, Portuguese Quinta. 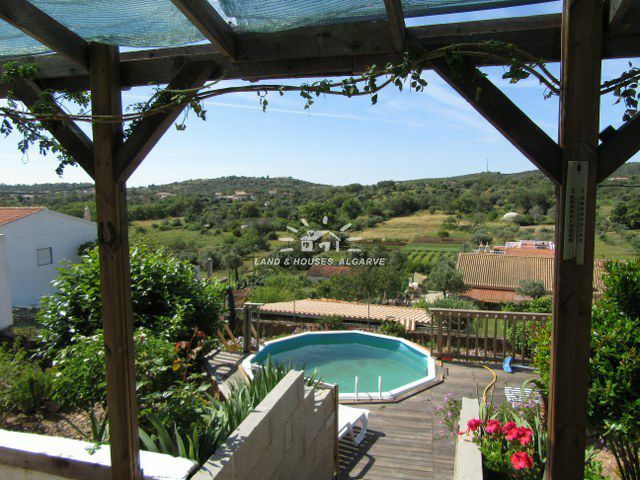 The property benefits from its south-facing location, original features, wood burner stove and simply its excellent location near Sao Bras de Alportel. Access by tarmac road. Mains water, electricity and drainage. 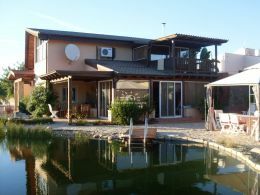 Distances: Faro: 17 km; Spain: 50 km; Beach: 20 km; Golf: 25 km; Sao Bras centre: 4 km. Details: * 3 bedrooms * 1 bathroom and 1 cloak room * recently fitted and equipped kitchen * nicely landscaped garden * beautiful views * plunge pool * wood burner stove * South-facing terrace * excellent location * Energy certificate class C.